Print this PDF file featuring modern wall art from your home computer, your work computer, or a local print shop to decorate your home or office! Print includes 1 PDF file to print in the size you choose. Home Sweet Home in Black and White with a triangle print background and a home with a little bit of green in the right hand corner. This file is in PDF so that you can print it over and over again. 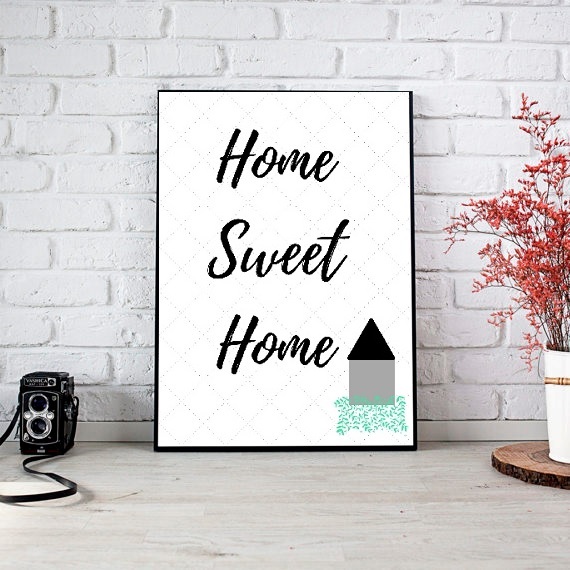 Printable decor is an easy and inexpensive way to decorate your home right after printing an item!